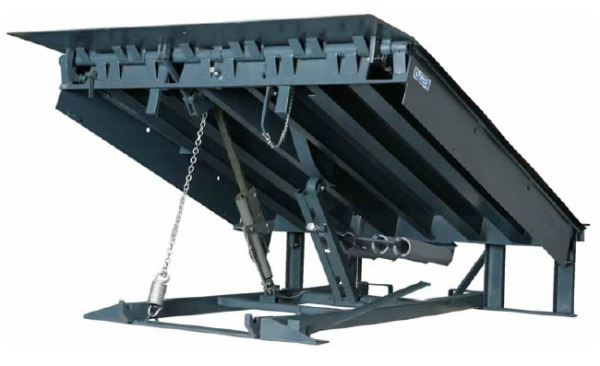 Loading docks often have dock levelers that allow workers to move goods from the loading dock into the truck or transport vehicle. The levelers act like a small ramp that connects the dock to the vehicle and forms a bridge that’s covers the gap between the dock and the vehicle. The leveler will also make up for any height difference between the two surfaces. At Specialty Doors and Automation, we have the expertise to provide excellent Los Angeles dock level repair, and help maintain the levelers in top condition. Both Hydraulic and All Kinds of Repairs – You should hire a Los Angeles dock level repair contractor that will work with both hydraulic and mechanic levelers. You also need to make sure they can address problems with the dock seals, shelters, boards, gates, lights, truck latches and edgemount levelers. This means they can provide basic maintenance for the entire system. 24/7 Response – You can’t afford for your leveler to be out of service for more than a few hours; so you need to look for contractors that will respond to emergencies promptly and will be at your location quickly your call. Guarantees – Sometimes, dock leveler repair can be expensive, especially if you need to replace parts or motors. In such cases, you need to hire a contractor who would provide guarantees on replacement parts and service. This would ensure you have fewer problems in the future. Qualifications and Licenses – You should hire a contractor that has the right licenses and qualification to ensure the repairs and maintenance are carried out efficiently. You want to make sure the repairs last for a long time and for that the contractors need to have skill, knowledge, and experience. You can get more information on dock levelers or hire our Los Angeles dock level repair services when you get in touch with us at Specialty Doors and Automation. You can request a quote and or ask us questions by filling in this call back form. You can also give us a call at 1 888 801 9255.